"A Fun (if Dysfunctional) Romp Through Colorful Worlds"
If you're anything like me, then the Lego franchise is near and dear to your heart in a number of ways. Both the original playsets and the long-running franchise of games have been staples of entertainment for kids of all ages (and often adults too) for years. In the past, though, all of the Lego games have been based on preexisting franchises. The modern iteration of the Lego series kicked off with Lego Star Wars in 2005. In the intervening decade the series has worked its way through the Star Wars series, the Indiana Jones series, the Harry Potter series, Batman, the Lord of the Rings, Jurassic World, the Marvel universe, and even Rock Band. 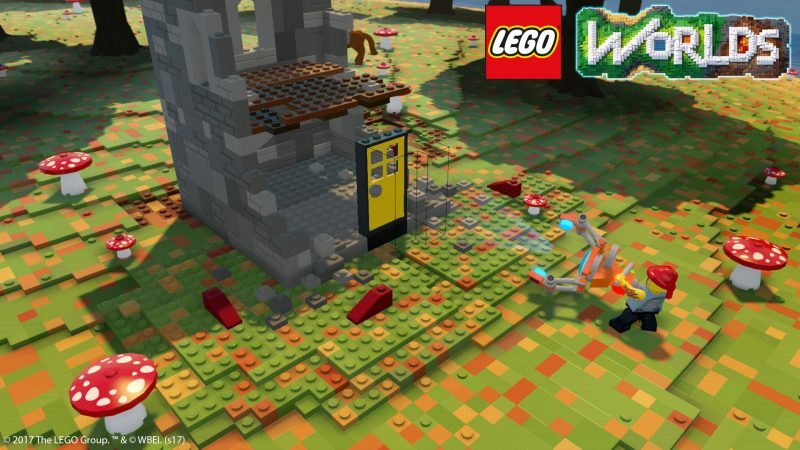 Lego Worlds, however, is a whole new bag of bricks. Unlike the past games, Worlds concerns itself not with an established universe, but with an open sandbox world that the player can create. 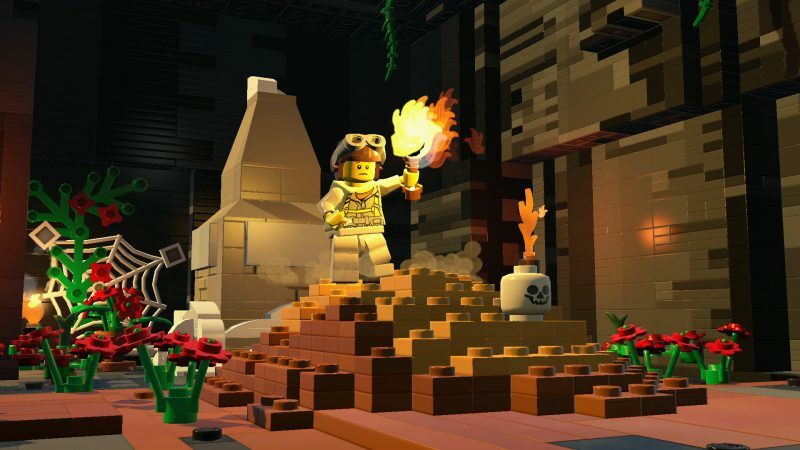 While the game controls similarly to previous Lego games (with customization minifig characters, unlockable characters and vehicles, and the ever-present goal of collecting Lego studs), it's emphasis is primarily on the exploration of the titular worlds, procedurally generated sandboxes with a variety of themes. The sheer size and variety of these worlds is one of the biggest draws of the game. 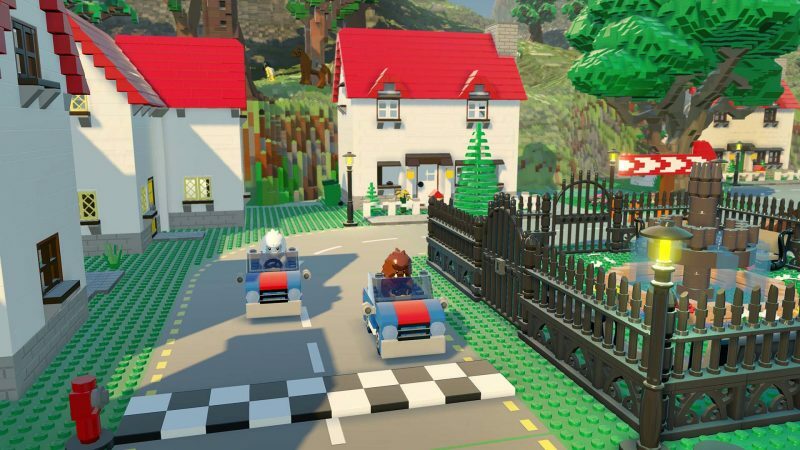 While some sandbox games limit you to a single world, Lego Worlds encourages you to hop into your bright orange spaceship and travel to a vast array of colorful lands. The game starts off simple enough - my first world was Pirate-themed, complete with a beached wooden galleon, a dense tropical jungle, and an old abandoned fortress. This first level introduced me to the game's mechanics, which are simple enough to be fun but not deep enough to be particularly engaging or challenging. From there, the game really went wild. There are foggy monster-themed planets teeming with witches and werewolves, there are candylands inhabited by gingerbread men, and there are junkyard planets roamed by thieves and mechanics. I was constantly surprised by the variety of worlds on display, and as you unlock bigger worlds they begin to contain multiple biomes. In my time playing I climbed a beanstalk up to a giant's castle in the sky, orchestrated a bank heist by drilling through the vault, delved into a dungeon full of traps and monsters, and waded through a murky swamp trying to snag a photo of a swamp monster. I wanted to keep playing to see what crazy and colorful worlds would be generated for me next, even if the gameplay did little to keep me invested. Unfortunately, the simplicity of the gameplay means the core loop of exploration and discovery is a little repetitive. You can expect to land on a planet, meet a few characters who give you quests via a single box of voiceless dialogue (usually something along the lines of "Fetch me this" or "build me this"), and run around completing tasks and collecting Lego studs. Both exploration and quests reward you with a few different types of prizes. Most tasks result in the collection of Lego studs. Like in past games, these studs serve as a collectible and currency you can use to purchase character upgrades, vehicles, and pre-built Lego models. Your main goal, however, is collecting Gold Bricks. These can be uncovered by completing quests or finding them in treasure chests around the world. There is a large emphasis on traversal in Lego Worlds. Your character is given a double jump and the ability to climb any surface infinitely, and as you progress through the game you unlock additional abilities like a grapple hook and a jetpack. Aside from character advancement, you're also welcome to use any of the vehicles the game creates in the world. You can fly a plane around, ride horses and bears, or take a motorbike to your destination. In a sense, there's almost too much choice. Sure, it's nice to have different vehicles. But do there really need to be five different motorcycles? Or three variations of a bulldozer? I had lots of fun with unique vehicles like "Cole's Earth Driller", a massive drilling vehicle that enabled me to dig into the tunnel systems below the surface, but I found before long that my inventory was jam-packed with redundant items and slight variations of the same thing. The same issue comes into play with the combat in the game - like past games, it's a simple button-mashing brawler game with the addition of weapons that you collect in the world. Like the vehicles, the unique weapons were fun - I had a blast with the ice gun, the paint gun, and the bazooka (that can be used to dynamically destroy the environment). I found myself most often using items that would let me shape the land - pickaxes, drills, and diggers were much more useful than the five different swords the game gave me. But even in that example, the tools all do essentially the same thing - so why use a pickaxe instead of a drill? The game also suffers from some major control issues. On the PS4, the control setup (which you can't change) is abysmal and just feels awkward. The use of buttons for multiple commands (depending on how long you hold the button) makes it all too easy to punch an NPC you meant to help, or to hop into a vehicle when you meant to open your inventory. And that's not even getting into the ridiculously finicky building system. For a Lego game, trying to manually build things is an exercise in futility. Pre-built models are fortunately available for players who don't want to build things themselves, and these models are often of higher quality and easier to construct. The game suffers from a number of little issues like that. For a game with such an emphasis on the worlds, you can only access a few at a time. Once you have generated a few, you need to delete old ones to get new ones. The procedural generation means that the world generation is often messy - vehicles spawn into the scenery, NPCs spawn in the water, and so on. It's forgivable due to the size of the game, but you can only run into so many inaccessible chests half-buried in the world map before giving up and going somewhere else. "Spoiled for choice" is a good way to describe Lego Worlds - there's just such a sheer deluge of content, but at the end of the day so much of it feels redundant. 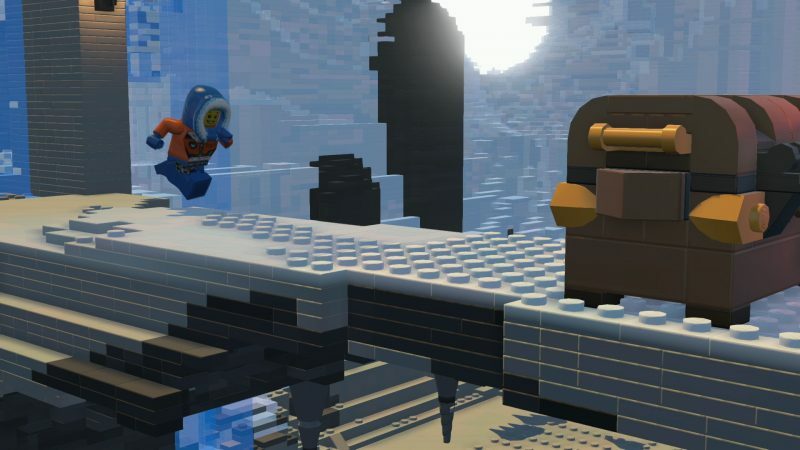 Like Lego bricks themselves, Lego Worlds is what you make of it. There is a great potential for fun to be had (particularly when running around its vast and varied worlds with friends), but its frustrating control scheme and its lack of real direction may be a turn-off for some. For those who aren't impressed by the Lego franchise's past installments, this likely won't change your mind. But for those looking for a colorful and whimsical time, Lego Worlds is a fun source of slightly offbeat adventure.